Sandy, Bedfordshire. 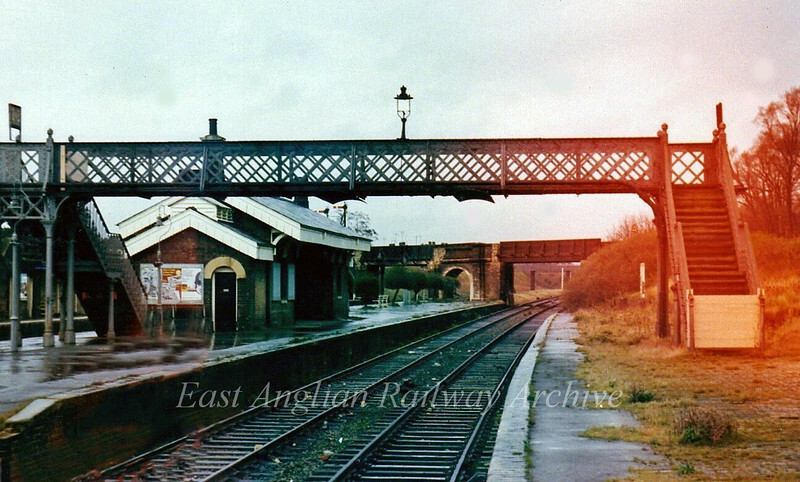 Not a closed station of course, but these were the platforms of the Cambridge to Bedford line, now demolished. The line in the distance rose up and crossed the East Coast Main LIne (to the left) on a flyover, all long gone. The line closed in 1968. Picture dated March 1974.